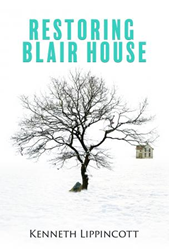 Within the pages of Kenneth Lippincott’s new book, Restoring Blair House, ($24.99, paperback, 9781545615225; $41.99, Dust Jacket, 9781545615232; $9.99, e-book, 9781545617380) readers will find an inspiring Christian novel brimming with adventure and some hard-to-swallow truths. In this second installment of the Rock Creek Valley trilogy, a prodigal son returns home to restore the Blair House, his dilapidated childhood home, during an extensive and divisive highway construction. He finds that the home controls valuable water and mineral rights, and this shakes the small town into a frenzy. At the center of the novel, the author poses the question: how far would one go to get a second chance . . . and at whose expense? Kenneth Lippincott worked an educator in small towns for forty-three years. He worked to bring people together and was twice selected as Jaycee’s Man of the Year. He holds a Master’s Degree in Education Administration in Community Education. Xulon Press, a division of Salem Media Group, is the world’s largest Christian self-publisher, with more than 12,000 titles published to date. Retailers may order Restoring Blair House through Ingram Book Company and/or Spring Arbor Book Distributors. The book is available online through xulonpress.com/bookstore, amazon.com, and barnesandnoble.com.